If you are looking for an emotional, spiritual or physical reset, come stay at Ulpotha. You can walk barefoot in pristine nature and swim in the silky-smooth waters of our lotus ringed lake, far removed from stresses of the modern world. If a digital detox, the song of chirping birds and to sleep like a baby attract you, Ulpotha can offer you that and more. Ulpotha exists in a world where it’s safe enough to live without fences or walls or doors or locks. You’ll be looked after by its gentle, traditional agricultural community, among whom you will be living in nature’s soft, age-old rhythms. In what it offers, Ulpotha is both rare and real. 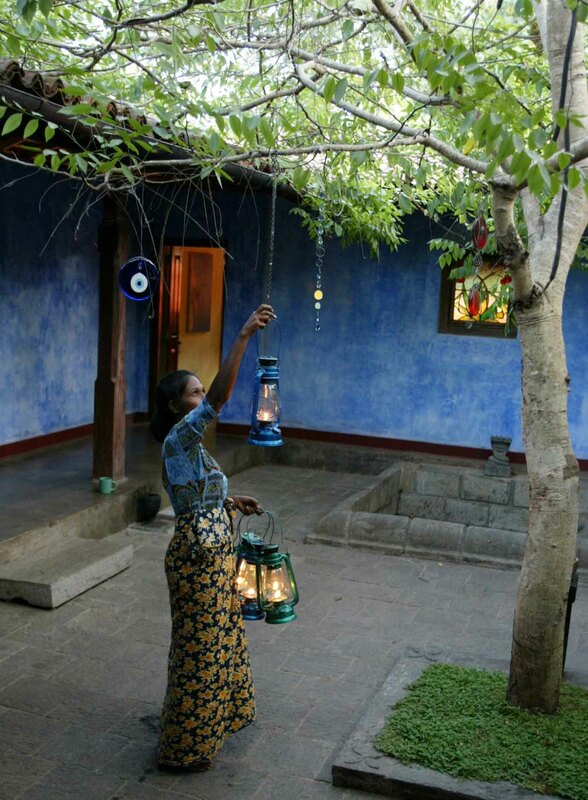 First and foremost, what you get in Ulpotha is heartfelt and gracious hospitality from the Ulpotha community. As such, tipping is not accepted – though smiles are appreciated. The all-inclusive price you pay also includes accommodation, all meals, snacks, drinks, two Yoga classes a day, a massage per week’s stay, guided forest walks, the organisation and transport for an excursion per week’s stay, all taxes as well as the use of bicycles, hot water bathing area and our laundry service. Ayurveda treatments are optional and not included in the retreat price. There are very few places left in the world where you can feel safely ensconced in the bosom of nature, while removed from the many stresses and strains of modern life. Ulpotha is such a place. 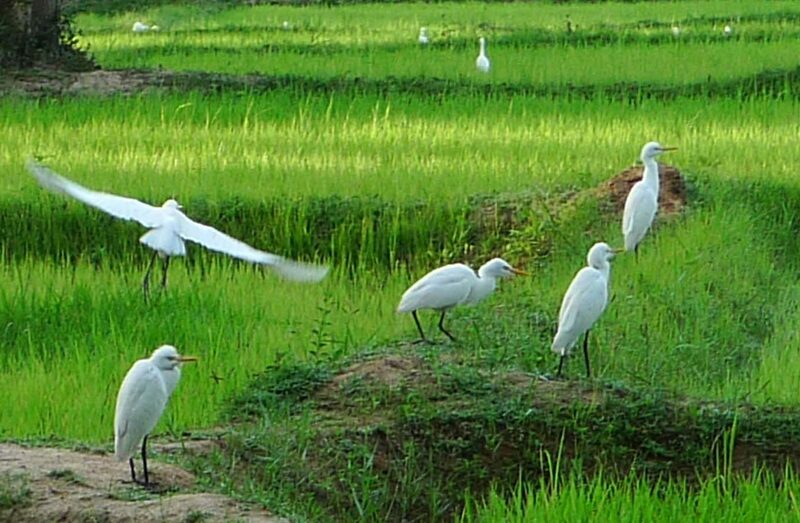 Located at the foot of the Galgiriyawa mountain, on the edge of a lotus ringed lake on one side and surrounded by emerald green paddy fields on the other, you encounter indescribable natural beauty and serenity. By design there is no electricity in Ulpotha and life is lived by the rhythm of the day. Paths and accommodation are lit by lamps and lanterns, with the twinkling glow of firelight creating a captivating and romantic sense of times gone by. Flowing directly from the absence of electricity are the deep bonds frequently formed between guests, often like-minded and interesting individuals. This is perhaps because of a subconscious re-connection to humanity’s deeply rooted oral traditions – when people gathered around a fire to exchange stories, histories and friendship. That Ulpotha has the atmosphere and feel of a welcoming home – rather than a hotel – with a slow-paced house party on the go, further enhances this very special experience. Since the beautiful natural environment is present and immediate everywhere in Ulpotha, and in a form that is reassuringly safe and unthreatening, it allows guests the infinite pleasures and deep health benefits of reconnecting with nature. Ulpotha’s roots stretch far back in time and history and boast a rich tapestry of facts and myths, legend and lore. It has been variously the site of an eloping crown prince and an outcaste maiden, a pilgrimage site for travelling mendicants and buried treasures, lending it a special magical energy which you are invited to come and enjoy. Ulpotha has no aspiration to be anything other than what it is – a lovely, playful but honouring folly. Ulpotha is there to be enjoyed as one wishes, and taken for what it is: an enchanting place that sprinkles its magic dust on those who pass through. Ulpotha is in itself an integrated privately-run community that nurtures close ties to the surrounding villages. The best expression of how well integrated it is is demonstrated by the fact that it has safely existed for nearly 25 years without walls, gates, locks or security guards, protected as it is by the goodwill of everyone within and around it. It is managed day to day by a committee of its own villagers which has six members, two of whom are permanent (one female and one male). The other four change annually with at least one being female. The founders, who are consulted by the committee as and when the committee requires, loosely oversee the big-picture building and investment decisions. 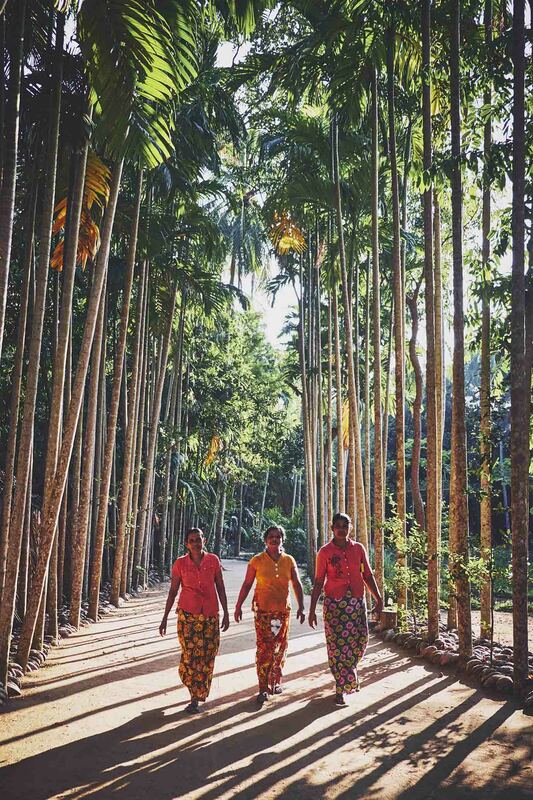 The free Ayurveda clinic run by Ulpotha for surrounding villagers is an example of giving back to the community. Apart from the clinic, Ulpotha supports local temples and shrines and engages in low-key community support to schools, hospitals, village-level charities, water management, etc. 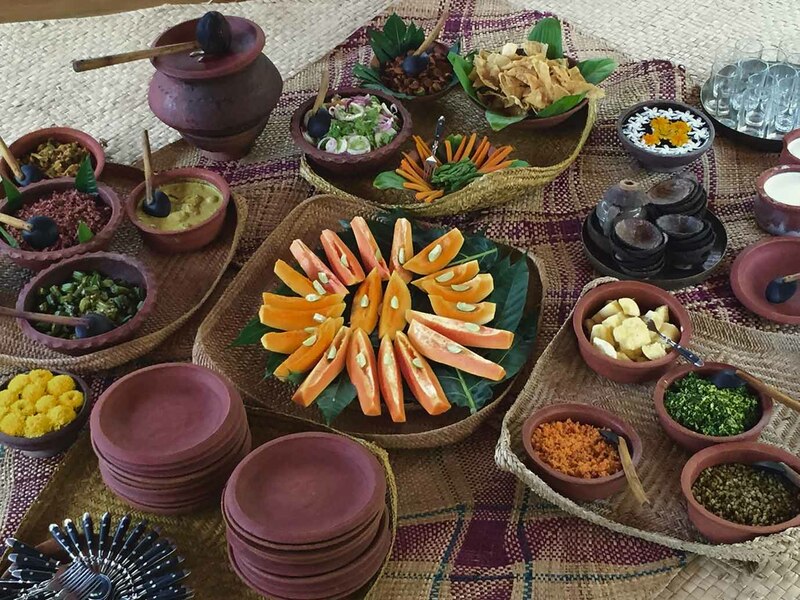 The food in Ulpotha is almost entirely vegan, naturally gluten-free, with an abundance of fresh vegetables, organic red rice and tropical fruit. Based on traditional rice and curries from the area, no specific ‘Master Chef’ has had a hand in the cuisine. Instead the dishes served at Ulpotha have evolved over its 20 plus year existance by a simple process of elimination. Ulpotha has been written about in culinary articles and is in the esteemed position of having a celebrated cookbook dedicated in its honour! A visit to Ulpotha is a good opportunity to detoxify your system without fuss. Special diets cannot be catered for but it is fairly easy to pick and choose, depending on your taste, from the many dishes served at each meal. As we have no electricity, all food is freshly picked, un-refrigerated, and cooked in terracotta pots on open fires. 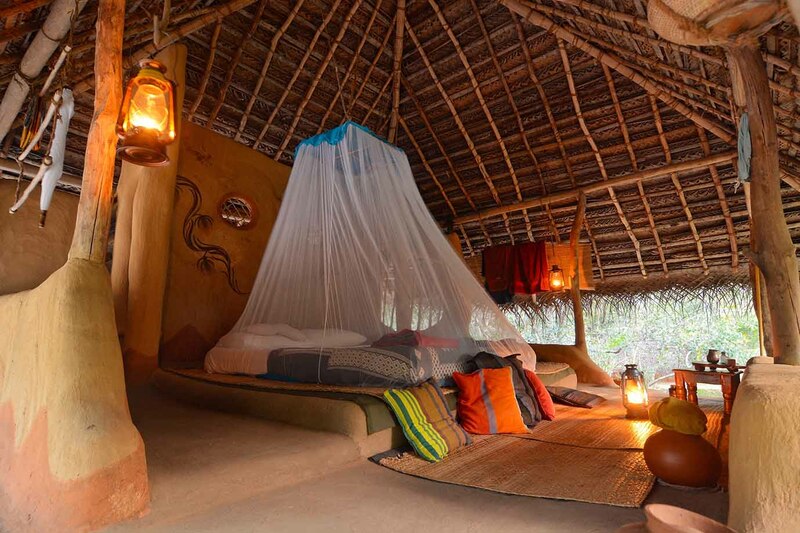 There are 11 charming adobe guest huts in Ulpotha, all of which are built using traditional wattle and daub with comfortable beds, voluminous mosquito nets, cupboards, fresh water, towels and offer a sarong to wear and take home. Open and airy by design, the huts offer you coziness and protection whilst being at one with nature. Each hut is hand painted twice a year using natural coloured clays. 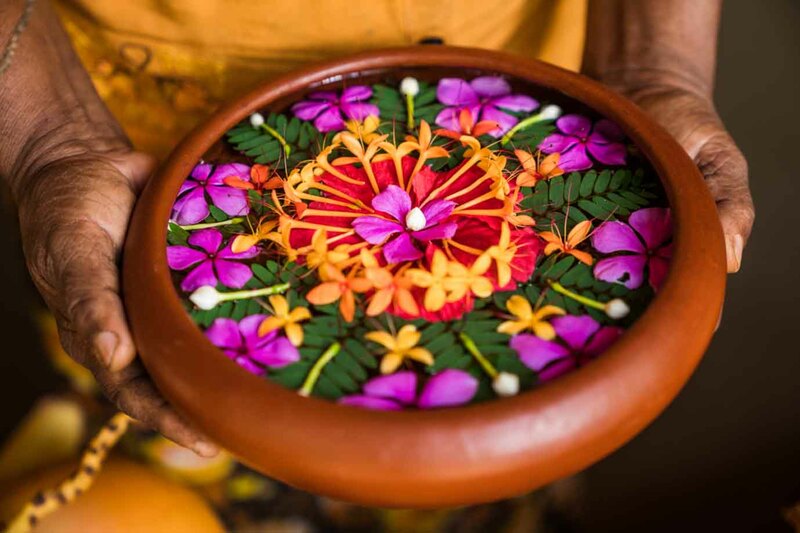 Much use has been made of clay, stone, wood, pottery and fabrics that reflect traditional village practices and aesthetics. With one or two exceptions, Ulpotha adheres to the Sri Lankan village tradition of keeping toilet/loo spaces separate from living spaces. The enchanting showers are open to the stars and the toilets are comfortable and modern. All the huts at Ulpotha are allocated on a twin share basis. 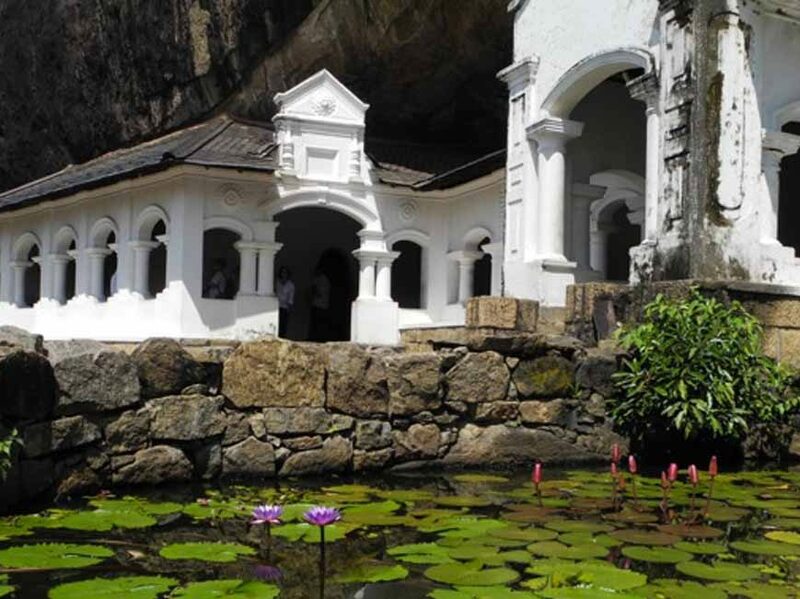 Ulpotha is situated in the oldest inhabited region of Sri Lanka, an area rich in archaeological attractions and natural beauty. Each week either a half-day or full day excursion is organised for guests. Participation is optional and external costs are not included, though transportation is. Guests are given a variety of options and one or two are chosen according to majority guest preference. The primary reason that Ulpotha is open for only part of the year is to protect its natural environment from excessive strain. For the same reason, guest numbers are restricted to 20 and our prices reflect the revenue needed to sustain this enchanting microcosm from year to year with the least possible environmental strain. Ulpotha uses age-old organic and bio-dynamic farming methods to protect its flora and fauna and its spring-fed wells. No mechanised farming equipment is used. Everything is done by hand or with the help of buffaloes. Almost all construction makes use of biodegradable materials. We are proud to say that, with the exception of stone works and the Walauwwa (the main house), the rest of Ulpotha will be seamlessly reclaimed by nature in a matter of months when Ulpotha comes to its inevitable end some day. Our preferred method of registration is online, which is very simple. Just click on the “Book Now” button and follow the instructions. Is Ulpotha open all year? Ulpotha is open 7 months in the year. The rest of the year we are closed to visitors as it goes back to being a self sustaining village. What is the ideal length of time to spend at Ulpotha? Ulpotha is very much a traveller’s experience rather than a tourist’s, in the sense it’s a place to immerse one’s self in to allow its charms to slowly seep in. In other words, the longer the stay, the greater the benefit. 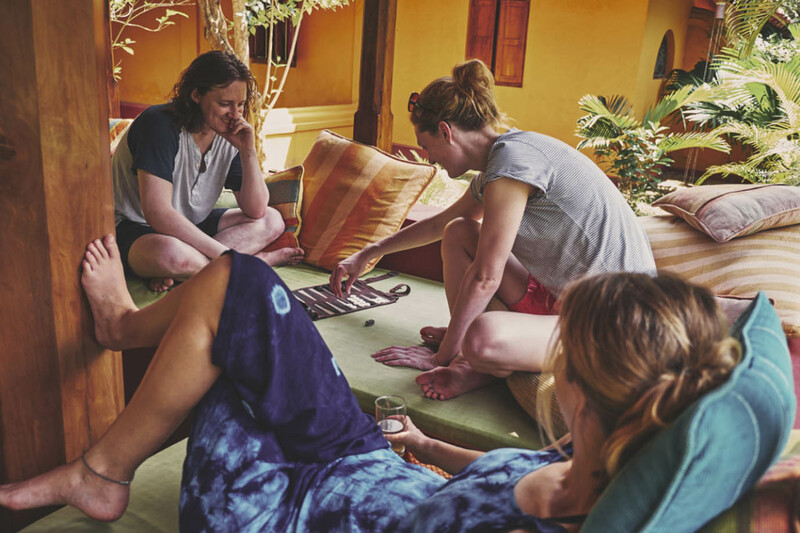 Generally two weeks is best – coinciding with a particular Yoga teacher for example, though a week will confer many of the benefits of a longer stay. Does my holiday need to coincide with one of the Yoga holidays? Ideally your holiday should coincide with one of the Yoga holidays but this is not at all compulsory. You can either pay by bank transfer, which is what we most prefer, or by Paypal, though the latter carries a 5% premium. You can ask us for further payment details by email. What will the holiday cost? It includes accommodation, all meals, snacks, drinks, two Yoga classes a day, one excursion per week’s stay, a massage per week’s stay, laundry service and the use of bicycles, hot water bathing area and taxes. Since gracious and priceless hospitality is what Ulpotha offers, tipping is not accepted and there are no additional service charges. What other costs might I incur that are not included? Not included are travel costs to and from Ulpotha, insurance, Ayurveda treatments that are not pre-booked, entrance fees to cultural sites, outside meals during excursions, single hut supplements, or any additional massages guests may wish to book with the respective therapists over and above the one that is included per week’s stay – these cost US $80 per hour, subject to availability. Yes, they are, though we would like parents to be mindful of other guests, given that Ulpotha is a place where people come to relax. There are no special facilities for children and they cannot be catered to separately. Children under 12 years old can come at 50% of the usual rate. However they do not qualify for the complimentary massage, nor can they attend the yoga classes. All other facilities in Ulpotha are available to them though please note that there are no special facilities for children. Babies are discouraged simply because of issues of practicality. What are the different accommodation options and prices? All the huts at Ulpotha are allocated on a twin share basis and the price of accommodation is included in the Holiday cost. I’m not sure I want to share – can I pay to have my own hut? Though there are no purpose-built single huts, you can pay a supplementary fee of $125 per night ($1,750 for two weeks) to have a hut to yourself. However this is subject to availability and not offered during Christmas and New Year times. How much does transportation between Ulpotha and the airport cost? We will meet you at the airport and take you back to the airport after your holiday. The cost per vehicle (maximum of 2 people) is $90 for one person and $100 for two people, each way. Please email us should you wish to be collected or dropped off at a location in Sri Lanka other than the airport. Is the cost of the Yoga tuition included? All meals, snacks and teas are included in the price of the Holiday.